I first set foot on Jamaican soil on August 1, 1976, living and working in St. Mary until June 1, 1978. I did not return to the island until 38 years later. 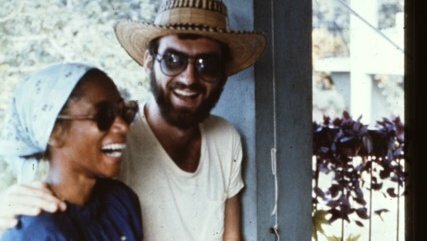 Peace Corps service was the catalyst that set in motion both visits and changed the course of my life. I first heard of the Peace Corps as a high school junior, four years after immigrating to the United States from the Dominican Republic, when my English teacher invited some young people to speak to the class about the organization. 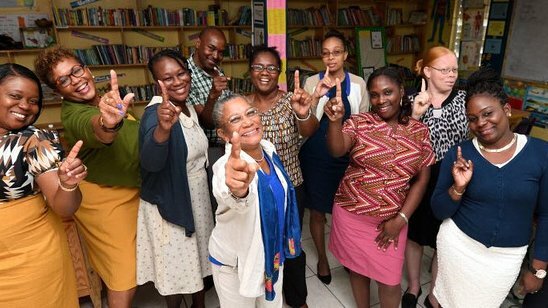 Nine years later, while working as an elementary school teacher in New York City, I made the decision to take a leave of absence and began my journey as a Peace Corps Volunteer teacher trainer in guidance and counseling in the parish of St. Mary, Jamaica. My assignment took me to five schools, working alongside Elizabeth, my counterpart from the Ministry of Education, to conduct training workshops and help principals in traditional and “new” secondary schools to identify, recruit and train guidance counselors. Much happened along the way. I met and married a fellow Volunteer and I had a child. After service, instead of returning to my teaching job in the city, I began life on a farm in the Finger Lakes area of New York. We had two more children. I learned to garden, freeze and can vegetables, make pies, bread, butter and jam and chase cows and pigs when they decided to take a stroll to neighbors’ farms when their grass seemed greener. In addition to working as an elementary school teacher in a public school, my professional life included a position as assistant dean of students of a small liberal arts college, teaching incarcerated adolescents at a juvenile detention center and teaching college-level Spanish to prisoners at a maximum security prison. I served as vice principal of our local high school and principal of two different elementary schools. I retired after more than 35 years in education. Two things remained constant: my belief in community involvement and my desire to serve as a Peace Corps Volunteer once again. The opportunity to volunteer again with the Peace Corps came in 2011 when my husband and I began serving in Belize. My assignment as a literacy specialist presented the opportunity to work with a group of amazingly dedicated and competent group of professionals, both Volunteers and host country nationals. As they had growing up, our children heard details of our service and saw photos of our Peace Corps experience in Belize. They visited, met our friends and counterparts and had the opportunity to be part of my school experience. My Belizean experience included work as a Volunteer Leader, giving me a look at the tireless efforts of Peace Corps staff to ensure a positive living and work experience for Volunteers. In September 2015, our youngest daughter became a Peace Corps Response Volunteer in Georgia. Little did I know that on July 25, 2016, 10 months into her service, I, too, would be serving as a Response Volunteer, returning to Jamaica 40 years after my initial service. I have the good fortune of working with a foundation that is well-run and community-minded, and that funds creative and innovative programs. I am still working in education in an assignment takes me to 10 schools in three parishes, including my initial “home” parish of St. Mary. I am grateful for the opportunity to return to Jamaica, the “roots” of my nuclear family. My husband, two daughters, son-in-law and grandchildren have visited the island. Our Jamaican-born daughter finally got to see the land of her birth and visit the home where we first lived and where she spent the first five months of life. Our grandchildren swam in the same pool their abuelo did so many years ago and met my counterparts, host family and Peace Corps family. They all fell in love with the island they had heard us speak of so often. 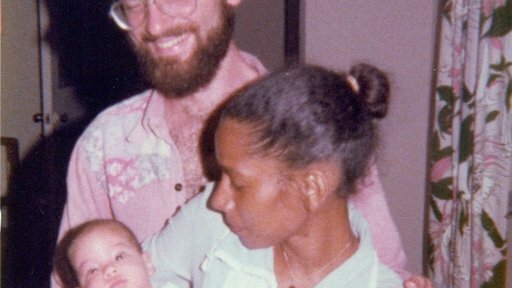 We have shared pictures online of our family’s Jamaican experience and are able to answer questions posed by Jamaicans about our own lives in Jamaica during the mid-1970s. But I have discovered so much more over the last five months. As we passed through St. Mary, my husband Ken began listing the names of many of his 16 students at the Port Maria Training Center, where he taught agricultural machinery repair. He was there at the start, when the center consisted of a floor, no roof and students eager to learn. His first order of business was enclosing a classroom and creating makeshift desks out of cement blocks and wooden boards. He learned that the center now offers a number of trainings and is known for its auto mechanics program. Much has changed in Jamaica over the past 40 years but there are still familiar sights and common threads that bind my Jamaican experiences then and now: the junction and coastal roads remain roads travelled by those with courage and strong stomachs, driving is still on the left and staples such as callaloo (stewed, fried or curried chicken), saltfish and ackee are still integral parts of the Jamaican diet. Goats can still be seen roaming freely. The sounds of reggae and Jamaican Patois blend with those of trucks, motorcycles and dogs. I appreciate new friends, new counterparts and meeting educators determined to make a difference. I am most thankful for the chance to be a Peace Corps Response Volunteer returning “home” and sharing the experience with family, bringing to life the stories they heard through the years. 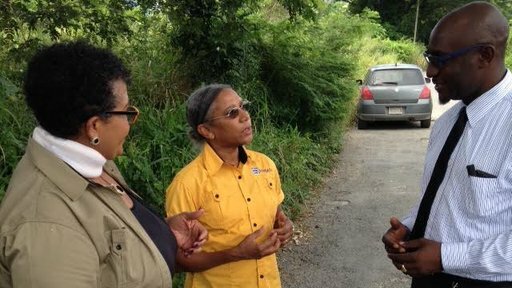 Miguelina Cuevas-Post served as a Peace Corps Volunteer in Jamaica (1976-78) and Belize (2011-13) and Peace Corps Response Volunteer also in Jamaica (2016-17) and Belize (2017). Originally from the Dominican Republic, she has nearly 40 years of education experience as an elementary school teacher, assistant principal, principal, and assistant dean of students. She holds a bachelor’s degree in psychology and master’s degree in education psychology from New York University and a Certificate of Advanced Study (CAS) from SUNY Brockport. She currently lives on a family farm in Scipio, New York.